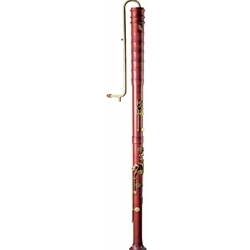 Continuing with their fabulous consort of low instruments, Küng has now released a new contrabass recorder in the Superio line. These work exceptionally well, have a loud and solid low range, and feature easy-to-use keywork and an adjustable bocal for comfortable playing. Please inquire about availability.